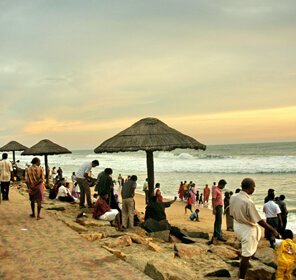 A very beautiful Fort Kochi beach is located on the western coast of India and is often known as the 'Queen of the Arabian Sea'. 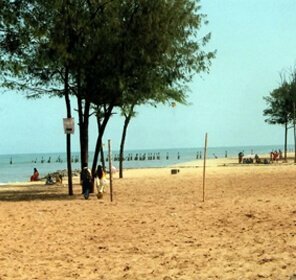 It's a serene beach that offers a scenic view and natural beauty to its visitors. 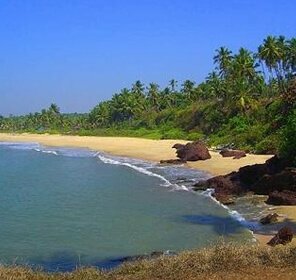 With its pristine water and tranquil ambience, it is extremely admired by tourists and local people as well. 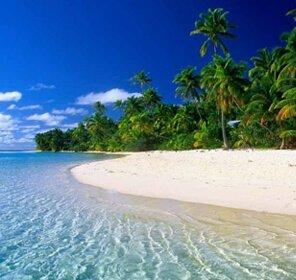 Whether you are alone or with your loved ones, this beach offers a soothing atmosphere to relax and chill out. 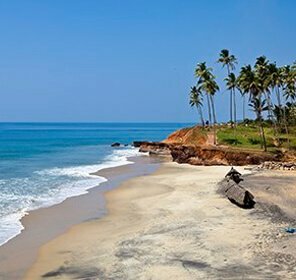 The main attraction of this beach is the historic fort, which is the perfect example of the European architecture and the annual Kochi Festival that takes place every year on the white sands of the Fort Kochi Beach. 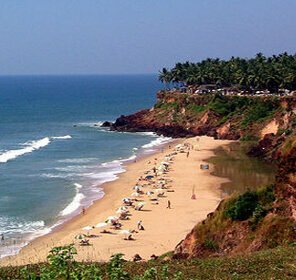 Holiday trip to this beach is like an ideal blend of the historical and cultural moments. 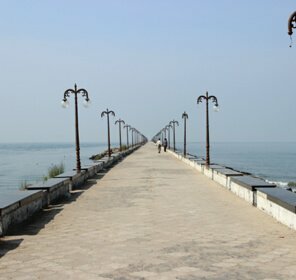 Stroll along the Fort Kochi beach and over the slippery sands, where you'll view the Chinese Fishing Nets. View exuberant waves washing off your footprints. 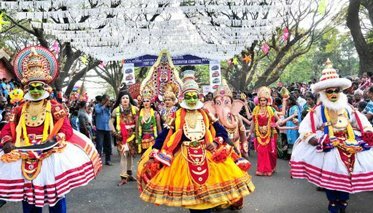 One must enjoy the Kochi Carnival, the very popular festival, which is celebrated every year during the New Year eve. 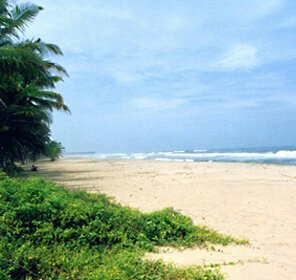 If you are bored with the hustle and bustle of the city, then this beach is a perfect getaway for you. Foodies can find several restaurants and eating joints that offer delicious cuisines. 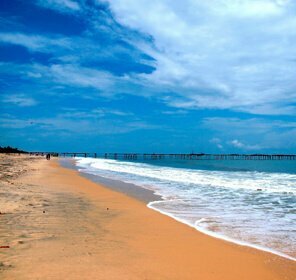 Hence, Fort Kochi beach has become a retreat for visitors of different part of the world. 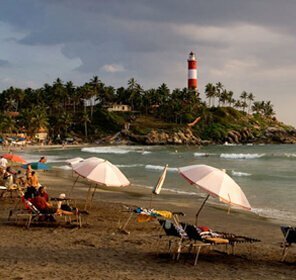 You can indulge yourself in various activities like boat cruise, beach walk, fishing, sun bath, sand castles building, dolphin sighting, and swimming. 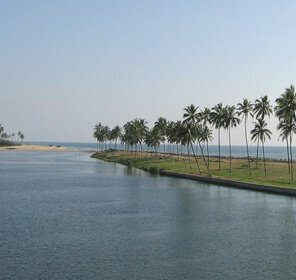 You can enjoy the view of backwaters separating Ernakulam from the Fort Kochi and Mattanchery are with numerous small and midsized islands. 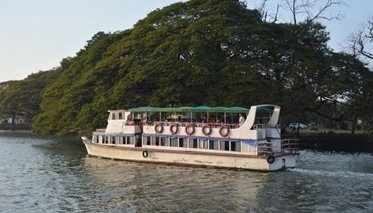 Go and experience the boat ride through the backwaters. A leisurely walk along the long coastal pathway is worth to spend some quality time with dear ones. The hustling backwaters, flecked with speedboats, ships, tankers and passenger boats are found from this walkway that encloses the coast. 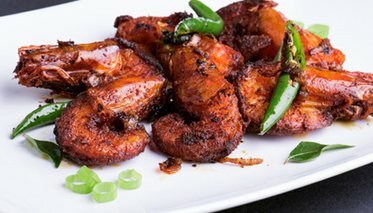 Dinning at Fort Kochi Beach is a wonderful experience as the sea foods and vegetarian cuisines are very delicious and mouth watering. 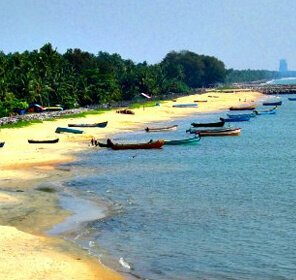 Cuddled amidst green bushes, coconut trees, and tenderly lashing seawaters, the Fort Kochi beach happens to be the favorite destination of everyone. 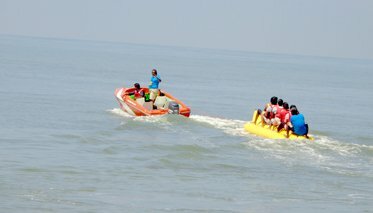 Not only the locals, but also the tourists are found here basking up the serene atmosphere at the seashore. There are many tourist attractions in and around the beach that draws thousands of tourists from all over the world. 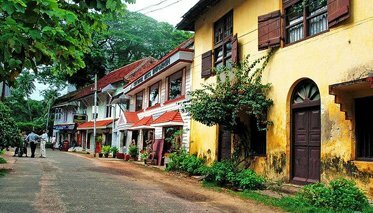 The major attraction of this place is its streets that beautifully showcase all about the Fort Kochi. Rose Street, Princess Street, Tower Road, Burger Street, etc., are some popular spots that captivate one and all. Strolling along the Matanchery roads, you'll get Palace Road, Jew Street and TD School Road that highlight a different culture. 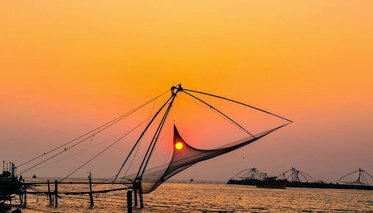 Also known as Cheenavala, these fishing nets are distinctly different to Kochi. There are many fishermen who earn their livelihood by fishing and by using these nets. A complete stretch of the seashore along the Vypeen and Fort Kochi are dotted with these nets. 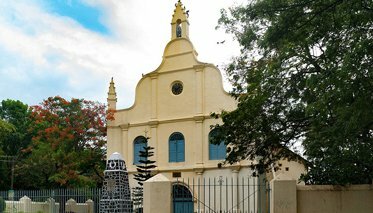 It's one of the oldest churches built by Europeans in India. On the third visit to Kerala, Vasco da Gama (the Portuguese trader) arrived India from Europe by sea but unfortunately he fell ill and died in Kochi. So, he was buried in this church and that spot was marked out in this church. This church was built by the Portuguese in the year 1505 and later on became popular as a Cathedral in the year 1558. It's one of the eight Basilicas in India, empowered with architectural & artistic magnificence and the colors of the medieval style. 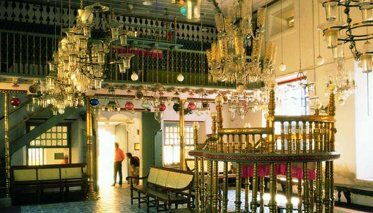 Built in the year 1568, this Paradesi Synagogue is the oldest Judaism temple in the Commonwealth of Nations. Here, you can get giant scrolls of the Old Testament and it is marvelously embellished by Belgian chandeliers and Chinese tiles. 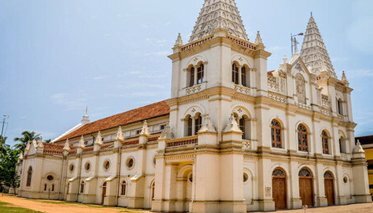 Also known as the Mattancherry Palace, It's a Portuguese palace commonly known as the Dutch Palace featuring the murals of Kerala highlighting the art of Hindu Temple, portraits and exhibits of the Kochi's Rajas. It displays the culture implication of the palace. 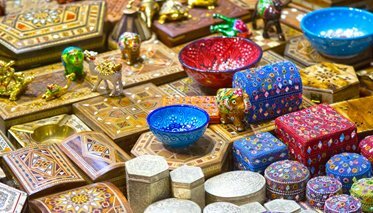 Visit handicraft shops at the Kalvathy and Jew streets, where you may do a wonderful shopping with a wide collection of amazing arts and crafts. This palace has a good collection of mural paintings showing scenes from the Mahabharata and Ramayana. 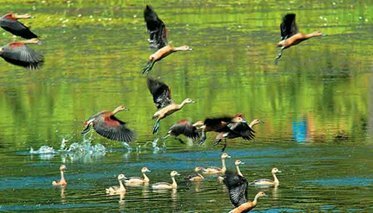 A protected bird sanctuary located in the heart of Kochi city is a home to numerous migratory and resident birds of different varieties. 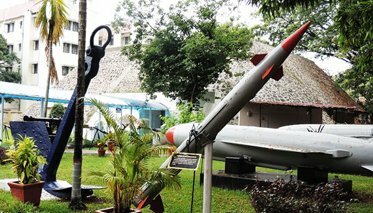 Situated in the premises of the INS Dronacharya, this museum was set up before the World War II in two built up ammunition bunkers. It elicits admiration and curiosity as well. 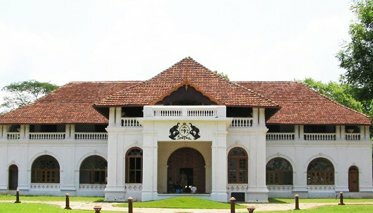 Indo Portuguese museum displays the influences of the Portuguese on Fort Kochi and the nearby areas. 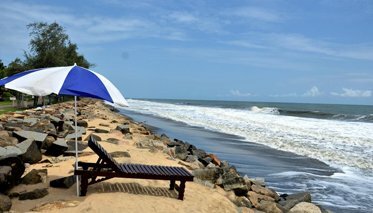 October to March, If you are the one who want to saunter in a serene and natural environment, then Fort Kochi Beach is an ideal place to sojourn. 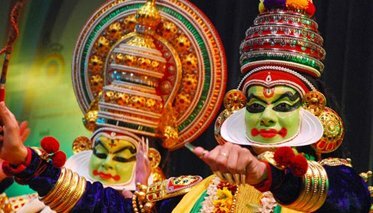 So, plan your trip to this very place and get exciting deals on Kerala Holiday Packages at Tour My India. 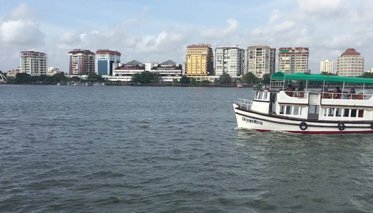 How to Reach Fort Kochi? Ernakulam (approx 1½ km) from the main boat jetty. Kochi has good network of roads and bus routes as it generates from NH 47, 49 and 17 connecting Kanyakumari, Mumbai and Madurai respectively. There are numerous private buses available from Ernakulam to other major cities. They operate from High Court Junction, Railway Station and Kaloor Junction as well.